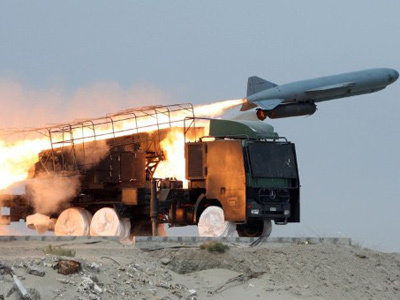 New generation short-range anti-ship missiles and UAVs have been unveiled in Iran. Tehran’s revamped military doctrine is based on “deterrence and effective defense,” President Hassan Rouhani said at the presentation. 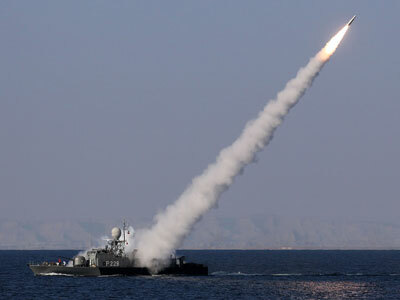 Ghadir cruise missiles with a range 100 kilometers are designed to engage ships, reported the IRNA news agency. 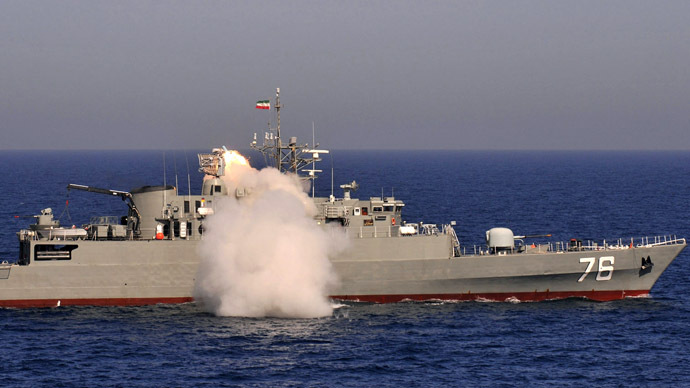 Iran uses the Ghadir system to reinforce its destroyers and coastal batteries. 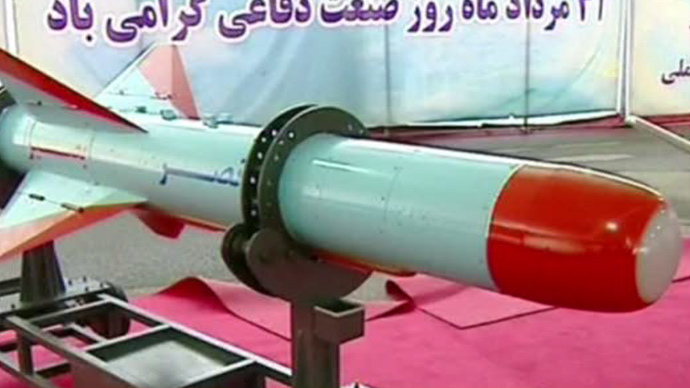 The range of another cruise missile, the Nasr-e Basir, has not been disclosed, although the agency announced it could “operate in silence,” without specifying exactly what this quality means. 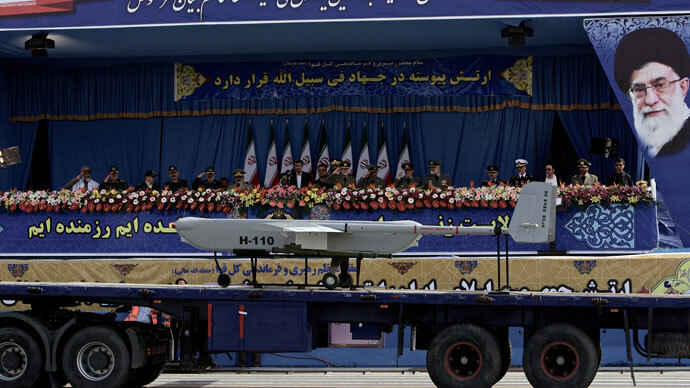 The Iranian military also showed two new high-altitude drones, the Karrar-4 and the Mohajer-4. The latter is capable of mapping a territory for military or civilian use. President Hassan Rouhani who attended the military hardware presentation stressed that while his country does not aim to possess a nuclear weapon, it cannot ignore external threats to the country. “We do not sit idly by with regard to threats. We do not remain calm towards plots by the enemy,” Rouhani said, as cited by the AP. The president did not specify the adversary’s name in a speech broadcasted live by state TV. “We have not been, we are not and we will not pursue weapons of mass destruction,” Rouhani said on Sunday. “For religious and humanitarian reasons we pursue neither nuclear nor microbial nor chemical weapons,” he said, calling for a nuclear-free Middle East, with an obvious reference to Israel’s undeclared atomic arsenal. After relative moderate Rouhani succeeded hawkish President Mahmoud Ahmadinejad last year, he promised to interact with the West diplomatically. He made positive advances, considerably lifting international sanctions against Iran and managing to stop “nuclear Iran” hysteria in the Western world. Rouhani also made reports about the country’s military advances more discreet. 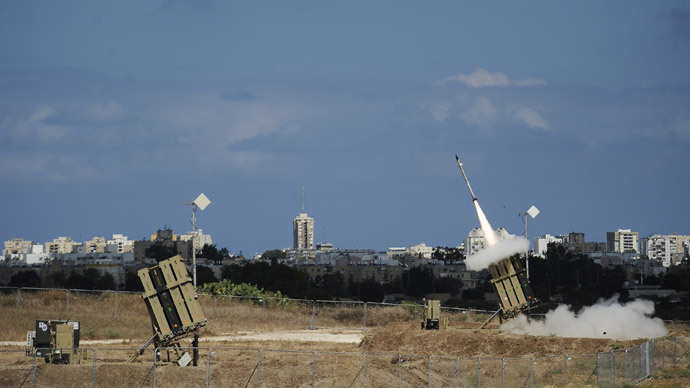 “Widespread publicity of major military exercises, previously the norm, has been minimal,” The Washington Free Beacon’s report acknowledged recently. 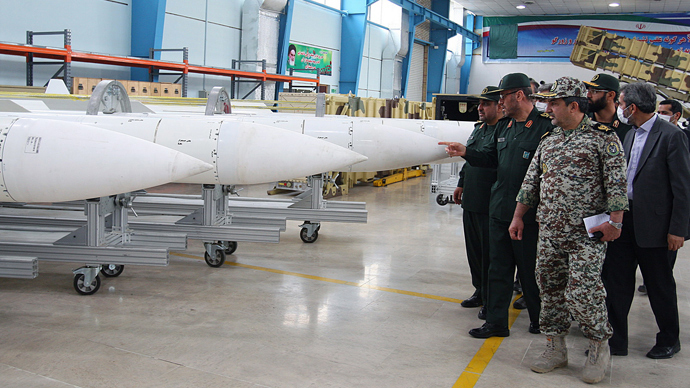 Iran adopted a program to develop the national defense industry and produce necessary military hardware, from tanks and mortars to missiles and submarines, domestically in 1992. Since then the country’s heavy weapons production, particularly rocket and missile engineering, has made tremendous progress. And not only in the military sphere - firm steps towards space exploration have also been taken, with Iran’s first space launch performed back in 2007. 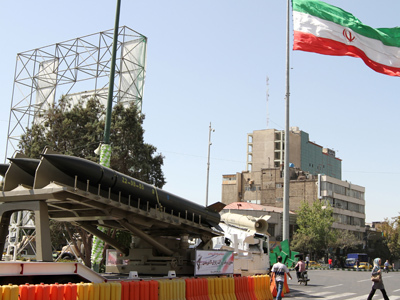 Today, Iran has surface-to-surface missiles with a 2,000-kilometer range, capable of reaching any US military base in the region, and also Israel, Tehran’s long-lasting adversaries since the 1979 revolution. 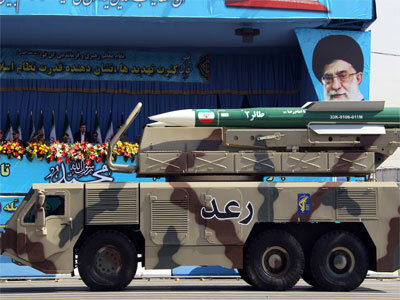 Iran also regularly presents new drones and allegedly successful copycat technologies from American drones intercepted in national aerospace.